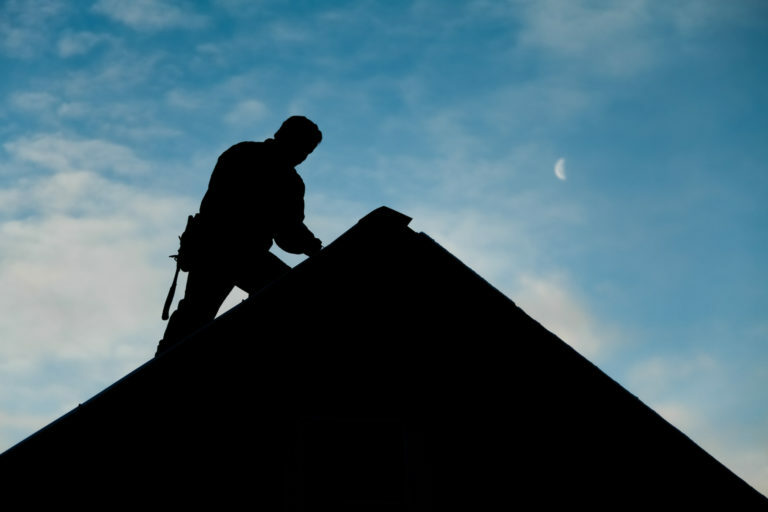 Tearing off and putting on a new roof is hard work but you can make the job easier, faster and cleaner with a roofing dumpster rental. If you are replacing an old roof, renting a container through Dumpster Market will make your removal process convenient and affordable. Whether you’re taking on the project yourself or are hiring a contractor we provide a range of dumpster rentals to help you get the job done right. Our roofing dumpster calculator makes it fast and simple to figure out the size of the roof shingles dumpster you will need and exactly what it will cost. When you reserve your shingle dumpster rental online with us you can compare multiple local providers with a few clicks and keystrokes on your computer. There’s no need to spend hours calling different companies, playing phone tag and scribbling down the information each salesman gives you. You can also set up the time and delivery of your container and attend to all the other details online. If you have questions or problems, of course, our courteous, professional staff is always ready to help you. Simply call us toll-free during normal business hours, instant-chat with us by clicking the green-and-white button below, or fill out and submit our question form on our contacts page. Low Cost: Compare prices from a number of hauling companies and choose the one that best meets your needs. Project Variety: Our dumpsters can be used to dispose of many types of roofing materials, including asphalt, tile, wood, gravel, underlayment and trim. Wide Selection: We offer an assortment of dumpster container sizes making it easy to find the right one to suit the scale of your project. Skilled Drivers: The haulers we work with provide experienced drivers so your dumpster rental is placed in the perfect location. The driver will deliver your container to an area that allows you to discard roofing material straight into the dumpster. That will save time, labor and messy cleanups. Hazardous materials are not permitted in a dumpster rental. Please try and find a waste disposal facility in your area for items such as roofing tar or foam. If you have any further questions about what you can and cannot put in a container please see our prohibited items page, or call us at 1-844-728-3533. In order to determine the correct size dumpster for your roofing project it is important to note two things: the type of shingles you are removing and the square footage. Typically, one roofing square equals 100 square feet of shingles. Once you calculate the total number of roofing squares you have, use our guide below to determine what size dumpster container you need. If there are multiple layers of shingles on your roof, please enter the number here. We recommend a 10YD dumpster for your project. Your slate roof will require a dumpster suited for heavy debris. An average roll-off dumpster truck has a maximum weight capacity of 10 tons. The largest sized dumpster you can order for slate shingle disposal will be a 10YD. Your project may require multiple dumpsters. You can start your project immediately by requesting one 10YD dumpster. It is easy to request a "swap-out" after you fill your first one. Your project will require multiple dumpsters. You can start your project immediately by requesting one 40YD dumpster. It is easy to request a "swap-out" after you fill your first one.